Alright! You guys asked for it. 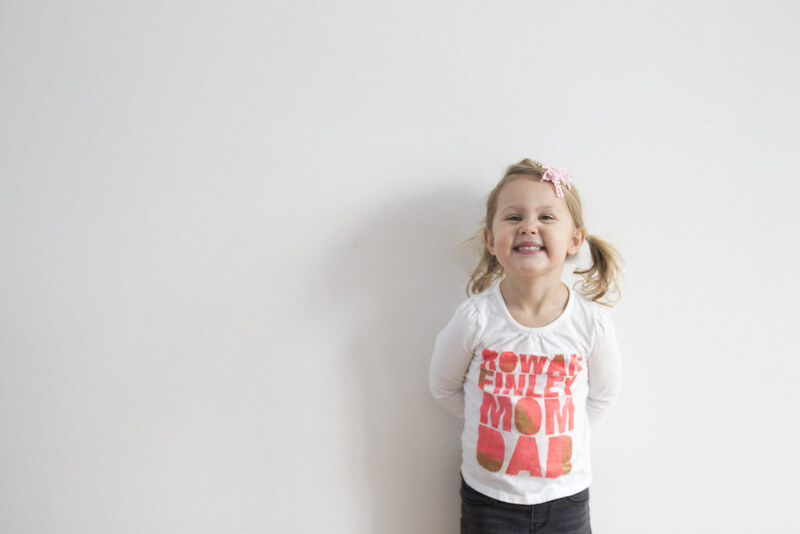 Here’s a tutorial on how I made our family t-shirts. If you follow me on instagram you know I made everyone a shirt for Kev’s birthday back in October. We surprised him that day and when he came home from work we all had our shirts on. Kev and I have always loved screen printing. When were dating we use to screen print shirts and sell them at art markets in the area. Then we bought a 4 color screen printing press. When we moved to Hawaii, Kev had big dreams of starting a t-shirt company with his designs. It still to this day is something we talk about from time to time. When I made these shirts I was running a bit short on time. I did the cheat version of screen printing and instead of using real screens used freezer paper. Which is awesome for you guys though because that means pretty much anyone can make these shirts!! They are so super easy. 6. Water based screen printing ink. Craft paint works good too- it will just be pretty stiff whenever you wash it. An iron will help soften it before you wear it. So if craft paint is all you have then go for it. 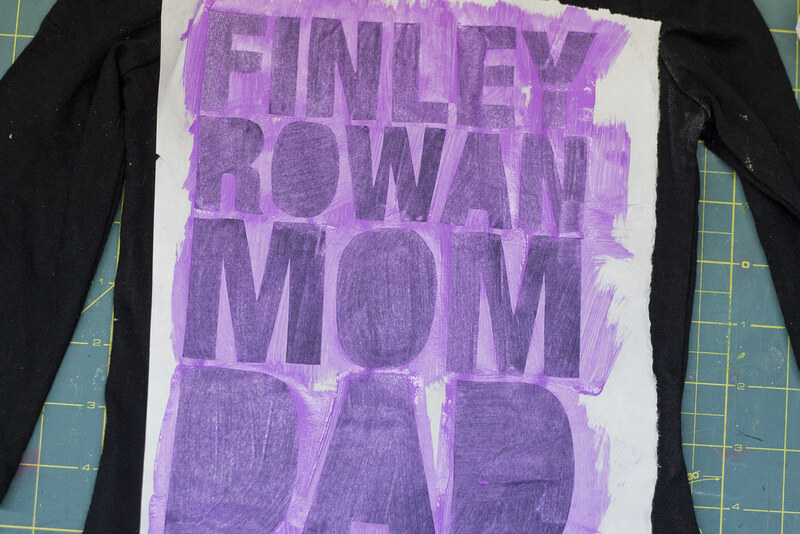 Rowan’s and Finley’s shirts are made with craft paint. We love Martha Stewart brand craft paints. Such pretty colors. In photoshop or a word document type out all your names. 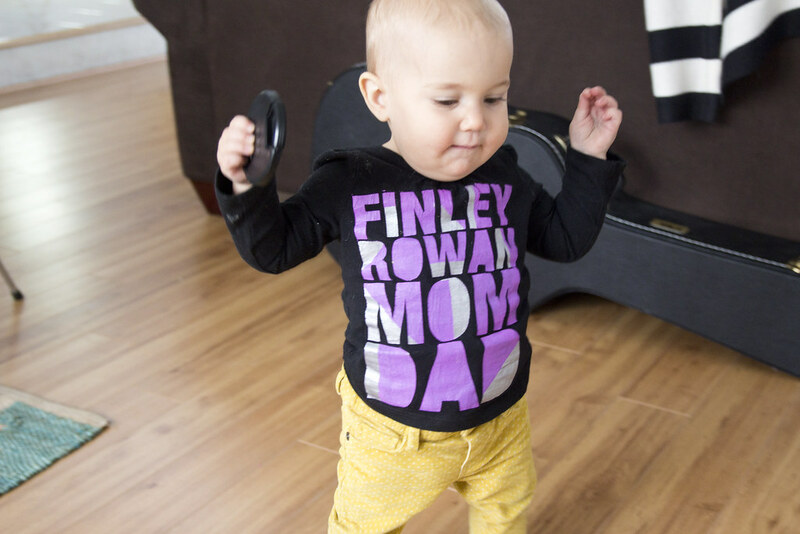 I chose to use DAD, MOM, ROWAN, FINLEY. Layout it out how you want it printed on the shirt. I decided to change each one slightly to have that person’s name on top. Print out in a variety of sizes to see which one will be the best fit for your shirts. With your print out taped to a cutting mat, place a sheet of freezer paper over top (shiny side down). 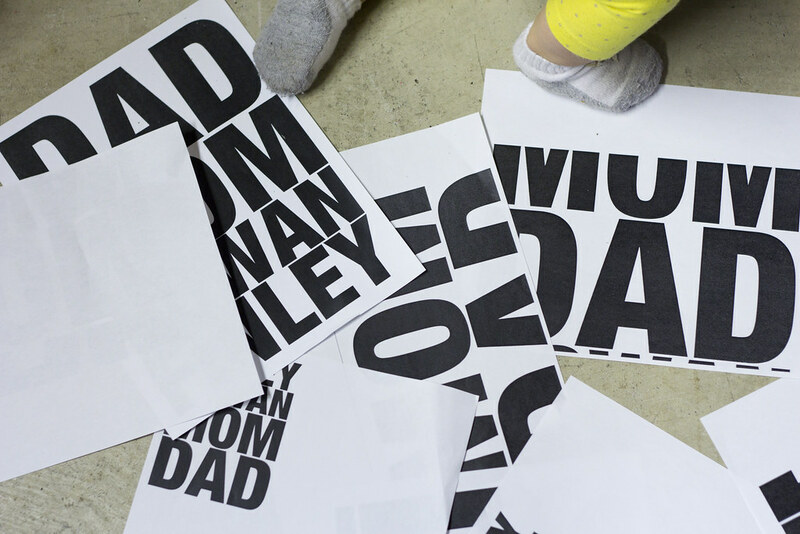 You will be able to see the words from the print out through the freezer paper. Tape down freezer paper so it doesn’t move while you cut. You can use a ruler if you want or you can just free hand cut out each letter. Be very careful to only cut where the letters are. You are creating a stencil for your shirt. When everything is cut out. Take the stencil (and with the shiny side down) iron it onto your shirt. Make sure to line it up as best you can so that it’s straight on the shirt. Press down hard on all small thin lines between the letters to make sure they are attached well. You don’t want paint getting under there. Time to paint. You can do a few things here… With the craft paint, I used a sponge brush to lightly paint and “dab” the paint. This isn’t fool proof so you kind of have to roll with the punches here. The freezer paper works really great but it isn’t perfect. Sometimes paint will get under the edges a little. Just be gently as you paint along the edges. 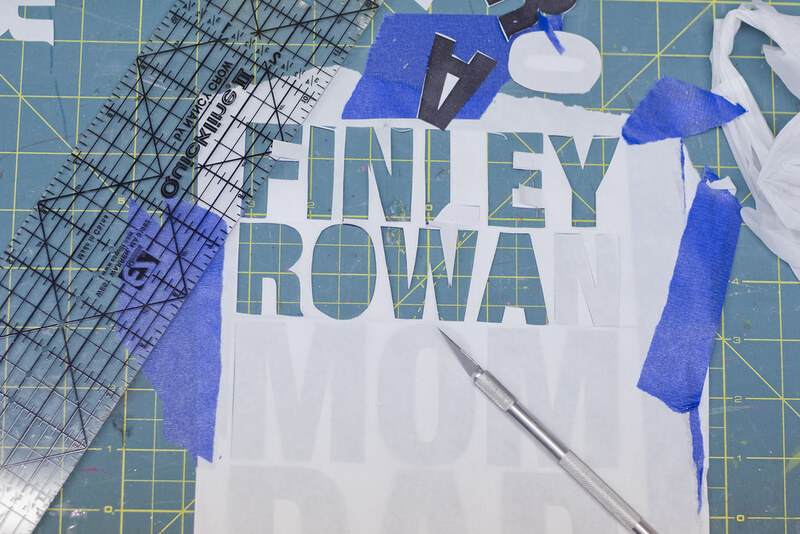 If you are using screen printing ink, you can use a palette knife like a little squeegee and spread the ink across the stencil. This way worked really well for me on my shirt. The craft paint might need a few coats. Depends on what color paint and what color shirt. Make sure to let each coat dry before you apply another one. Be sure to add in thin, even coats. I got a little a head of myself with Rowan’s gold accent color. I globbed it on so it would cover better. It has been flaking off in the wash now because it was too thick. 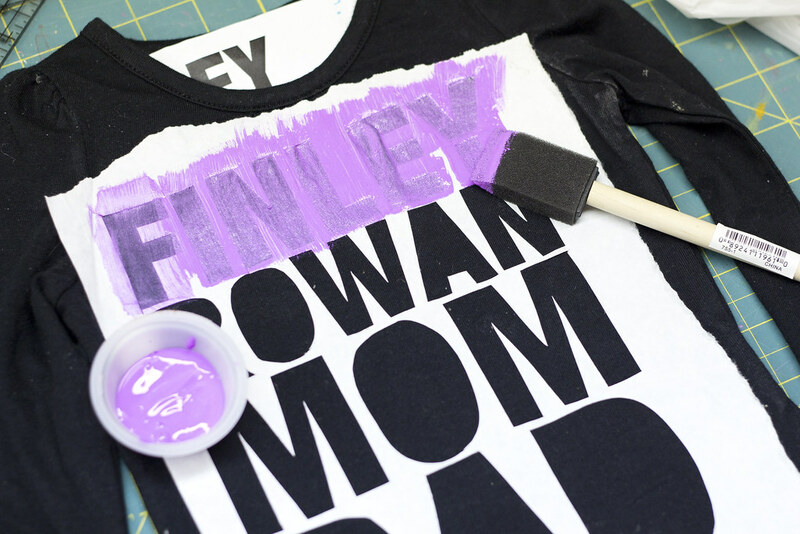 If you want to add a second color or patterns to the letters (like Finley’s, Rowan’s & Kev’s shirt) make sure you do this before you pull off the stencil. When all is said and done you can pull the paper off and marvel at your finish product. 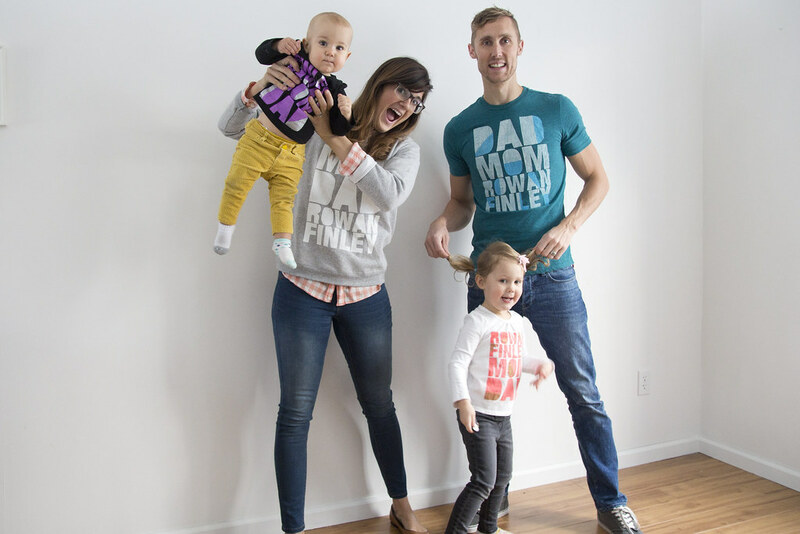 Then have a ridiculous family photo shoot in all your finished t-shirts. i absolutely adore your little family. these are just so much fun!! I luh-huuuuuve this idea! Thanks for sharing! That’s so cool! My kids would love to do this. I will definitely be trying this! I love this idea! Just pinned it for later. Super pumped. Haha oh poor Finley! I love these shirts! You did a great job. I love this! I’ve always been interested in screen printing. I’m definitely going to try this! Love it. Freezer paper is the bomb diggity! 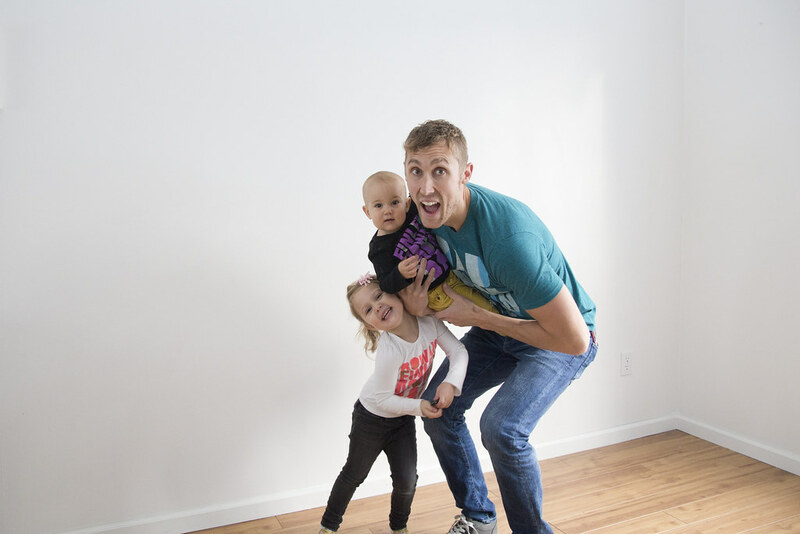 Oops – *your* adorable family!! As you’ve liked are beautiful I’m going to propose. Kisses and happy weekend. I love how these turned out so beautifully! This is to cool! Can I ask why type of font you used? I can never find one I like, but this one I love! this is one of my favorite DIYs ever! so adorable! Would you share the font? So cute! 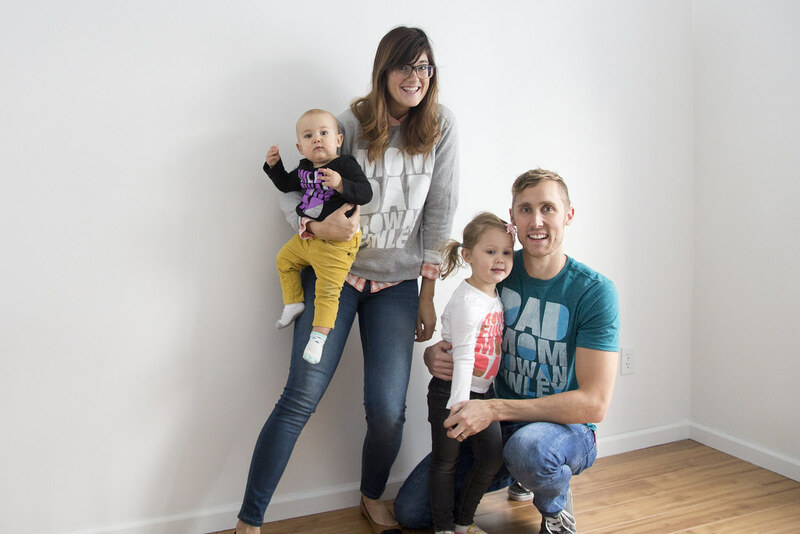 I loooove personalized t-shirts, and I desperately want to make these for my little family. Thank you so much for sharing the tutorial!! Thank-you for posting clear instructions how to do this! I am wanting to expand my product line this spring and you know getting someone to screen print can be quite expensive, I look forward to being able to do it myself and create unique items from it. 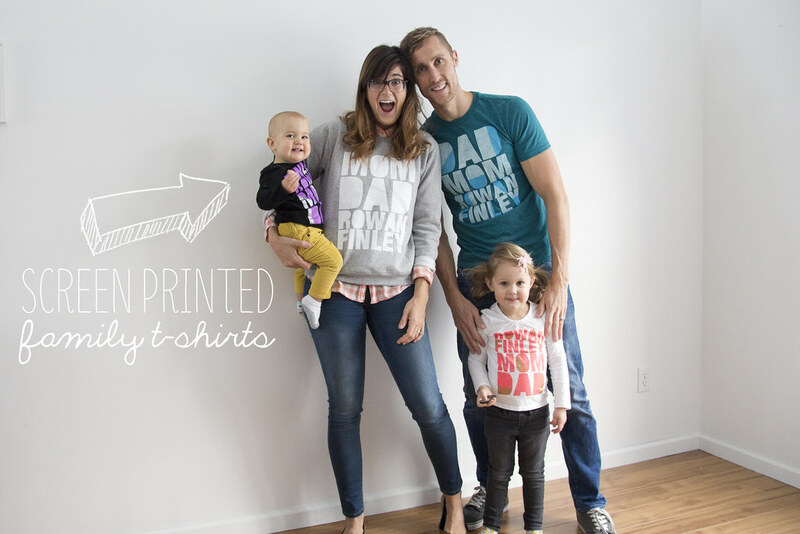 This is such a cute family idea! You guys all look so happy – well, maybe not Finley at the very end, but close! SO ridiculously cute. So cute. I love it! LOVE the T-shirts!! I must give this a try! The screen printing ink made SUCH a difference versus the craft/fabric paint I’ve been using for years and I’ve never seen that tip. Thanks! Where did you get your shirts from to make them? I love that you have a sweatshirt for yours! These shirts turned out really well! Did you use any sort of stencil to cut out the letters or did you just do it by hand? Do you think I could try using wax paper cause I can’t seem to find freezer paper anywhere? Grateful to check out your website, I seem to be ahead to more excellent content and I believe we all really like to thank for so many excellent content, weblog to discuss with us. Thanks for sharing of this Design Ideas, a very organized approach you have! I am doing this on a sweatshirt and I was wondering if I should wash the sweatshirt before I screen print it? 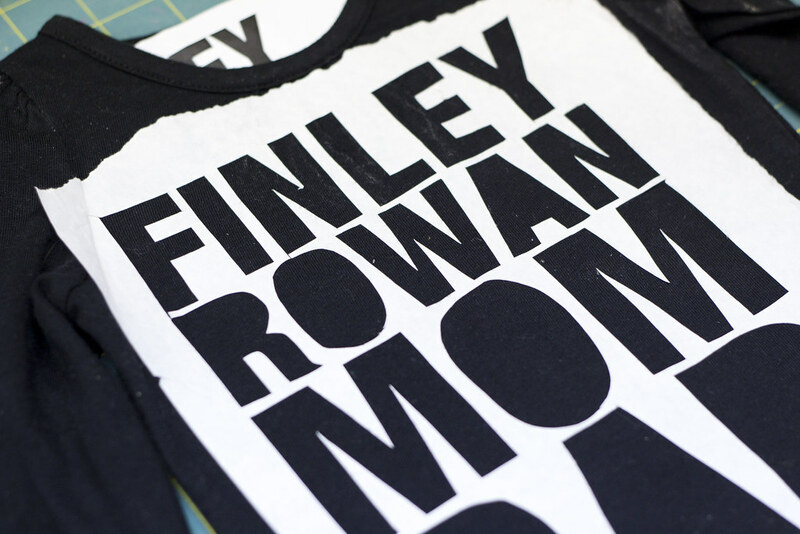 Which Font did you use for your freezer paper t-shirts?